20 acres of professionally designed gardens by Fiona Edmond in woodland decimated by the 1987 hurricane. 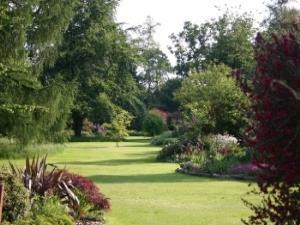 Includes terrace gardens, Japanese garden, water garden, seaside garden, gravel gardens, and extensive woodland gardens hosting a wealth of unusual plants often of borderline hardiness that thrive in the unique microclimate. A Plantsman’s paradise that looks good all year round. Guided tours available but pre booking essential. From Ardleigh village centre, take B1029 towards Gt Bromley. Park Rd is 2nd on the right after level crossing garden is on the left.